Beauty picks by our fashion editor Meagan Breen and makeup artist Rachel Mazurek. A gel-based waterproof eyeliner available in 4 colors from warm bronze to true black. Applies smooth and evenly with a brush and provides extremely long lasting waterproof coverage that does not drift or migrate during the shoot or your night out. I would recommend applying with an angled eyeliner brush which will allow you to create a variety of lines and shapes. It has a versatile look that can mimic pencil or liquid depending on how you apply it. Leave the lid on tight and don’t leave it on your brush too long as the quick drying liner sets rapidly. The midnight black is an essential in my kit. Naked cosmetics is an innovative makeup system with a variety of applications. The very pigmented mica mineral makeup mixes with the available bases to become waterproof eye shadows, lip colors, nail polishes, and more. They have 16 different color collections available with six colors per collection. Collections range from classic earth tones, to pastels, to a number of bright, fun, and funky colors. I sometimes like to apply over other colors to add subtle tints and tones. These are also a great start to mixing some custom and hard to find colors. This product can be used daily on eyelids and lips to completely remove all types of makeup; even waterproof mascara and eyeliner. I use this product everyday because it’s quick, easy, and doesn’t burn my sensitive skin. The only negative about these pads is their size. I have to use up to four pads to completely remove all eye makeup from both eyes. Don’t be scared of color. L’Oreal has come out with a collection of eye shadow duos that do the coordination for you. These high intensity pigments come in a variety of combinations which can be applied and blended in many interesting ways. At this price you don’t have to feel bad about purchasing a few to play and experiment with in order to find some colors that work for you. These will definitely let you have some fun with makeup again. With them you to create a variety of both everyday go-to looks and more exciting looks for nights at the club. I love rice paper! It’s an oil-absorbing blotting paper. A makeup artist friend turned me onto them. Use before applying foundation or use instead of pressed powder to get rid of the shine. This product is great for a man or women’s shiny skin and the compact packaging is convenient for a purse or pocket. The only negative is the rice powder does come off the paper and can flake onto your face or clothing. See the PinUp and Invitation Only in the December/January 2008/2009 Issue for photos featuring the makeup stylings of Rachel Mazurek. 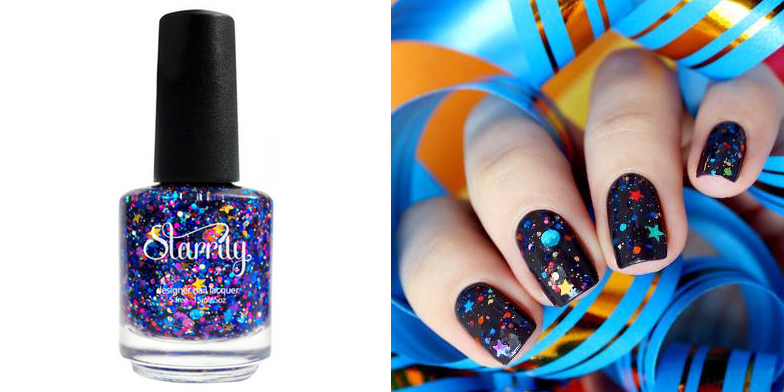 Shop small and local for the holidays and pick up our Item of the Week, Galaxy Glitter Nail Polish by Starrily, as a stocking stuffer or little gift for a friend or coworker. 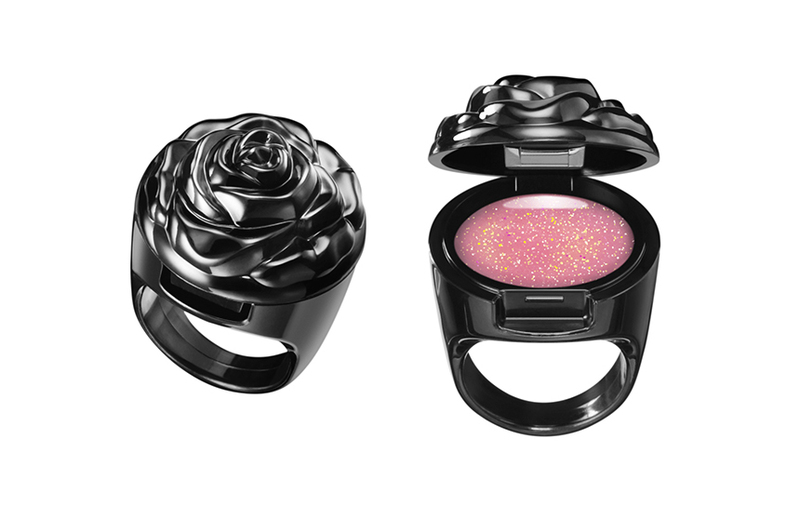 With our Item of the Week, the Limited Ring Rouge by Anna Sui, you can wear your makeup on your finger!